Post at least once a week. Stock up on prepared posts again to make it easier. Look through your categories and minimize the list. Put down at least one hour every day when possible for the blog. Like I said they are small goals but for anyone who's had a unplanned blog down time knows that small goals are huge at first before they stick. So let us sneak into that blogging game again, kitties! And once I get going blogwise I might do a little Blog Goals update post now and then :) Think it would be fun and maybe inspiring for other bloggers out there! This are some great goals! I have been trying to post more regularly (and actually finish the gazillion drafts I have). I wish you the best of luck! Stocking up on prepared posts--YES. I go in waves of being good at that, and I'm currently in a season of NOT having scheduled posts. I definitely plan to get a lot more organized in 2016! Great goals. 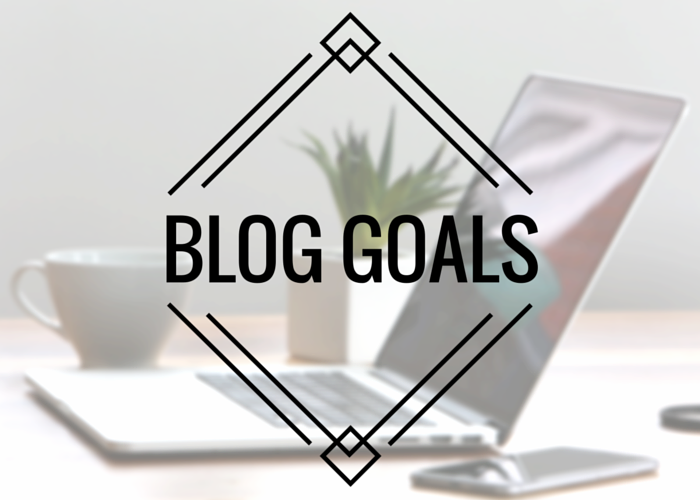 I also find that setting goals really helps with blog motivation!